But How Much Will They Really Cost? 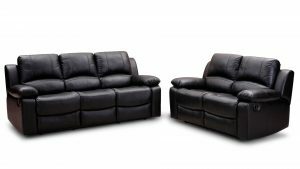 Canadian furniture retailers, Leon’s and The Brick, have agreed to donate $750,000 in furniture to charities to settle concerns raised by Canada’ Competition Bureau about their advertising of buy now, pay later financing plans. In 2013, the Competition Bureau sued Leon’s and The Brick for what it called deceptive advertising and to seek refunds for customers who paid so-called administration of processing fees associated with buy now, pay later financing plans. The Bureau alleged that as a result of additional fees buried in the fine-print of financing contracts, customers who purchased furniture on a buy now, pay later basis were forced to pay fees at the time of purchase that would not have been the case had they just paid in full. The Bureau took exception to the fact that there was no substantive disclosure of the extra fees in Leon’s or The Brick’s advertising. The settlement was reached by way of a mediation. Using fine print can be perfectly legitimate if it adds useful information to a truthful and accurate representation. The potential to mislead consumers increases significantly when a disclaimer is used to restrict, contradict or somehow negate the message to which it relates. If the fine print expands upon the general impression conveyed by the main message, then it may be perfectly legitimate. When the fine print contradicts the main message, however, there is greater potential for trouble. The general rule is that what the main message conveys, the fine print cannot take away.